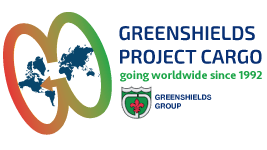 Greenshields Project Cargo offers, with no additional costs, an extension of the insurance guarantee, which safeguards the goods from risks of late delivery. GPC is able to take also this responsibility and to offer this opportunity thanks to a careful planning, made possible by a long experience maturated over the years. Choosing GPC, if your goods is affected by delayes, you won’t have to worry about it, GPC will intervene taking responsibility, by derogation from international convention and will recognise you a penality for late delivery. We intervene when normally other forwarding agencies don’t operate. Our professionalism and our experience enable us to take responsibility which goes beyond the standard competences, usually charged to shipping companies.